The approach of Easter had me feeling nostalgic for old-time recipes. This one comes from my Aunt Myra, a woman I may never have known but feel connected to, thanks to her recipe, one that helps use up leftover ham after Easter. All families have one. Ours was Aunt Myra, an aunt by marriage when she hitched up with Great Uncle Edward after his first wife passed on. Did Aunt Myra and I ever meet? It’s hard to say. Even my father remembers her little. So when my cousin LeAnne sent me a recipe called “Myra’s Ham Loaf” and said it had been her mother’s and our grandmother’s recipe, I just knew the recipe came from this almost-forgotten aunt. As food and recipes increasingly come from celebrity chefs and noted cookbook authors and even food bloggers like me, we lose a part of our own heritage, the connection to long-gone or recently lost members of the family who passed their best recipes from one generation to the next. My father tells me that Aunt Myra was an only child and had no children. She died more than 40 years ago so already there may be no one who remembers her. But now, thanks to this recipe for ham loaf, I do and always will. There may be a better recipe for ham loaf though I’ve not tried one. So this is the one I’m sticking to, proudly, in memory of an aunt I maybe never knew. Did she have a big laugh, a kind smile? Was she prickly about her politics? Did she love my Uncle Edward? I’ll never know. But Aunt Myra, she sure made a mean ham loaf. Here’s to her memory. ALANNA’s TIPS Are twelve servings too many? I hear ya. Good news, Ham Loaf freezes well so make two loaves and freeze one for later. 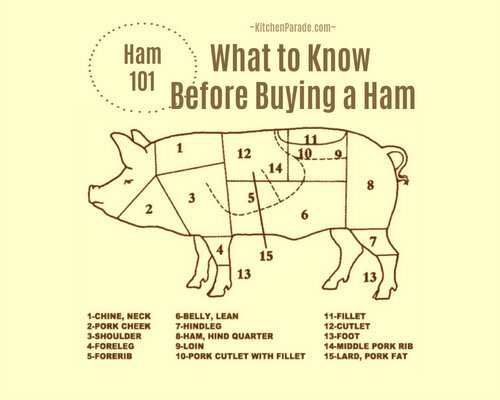 If you start with leftover ham, it can take as much as a pound and a half to yield, after trimming, a pound of lean ham. No leftover ham? A ham steak is a terrific substitute. I love the frozen sour cherries from Trader Joe’s. A jar of Morello cherries would work too. Morello cherries are sour cherries but are bottled with sugar. If so, just skip the sugar when making the sour-cherry sauce. HAM LOAF Preheat oven to 350F. In a large bowl, gently mix all the ingredients, it’s easy with your hands but take care not to compress the meat. On a rimmed baking sheet lined with parchment, form two oval mounds about 8 inches long. Bake for 1 – 1-1/4 hours. Remove from oven, cover with foil and let rest for 5 minutes before slicing. SOUR-CHERRY SAUCE While the Ham Loaves bake, separate the cherries and juice, set the cherries aside. Spoon the cornstarch into a medium saucepan, stir in the cherry juice a teaspoon at a time at first. Turn the heat to medium, add the sugar and cloves. Cook, stirring often, until the mixture begins to boil, then cook, stirring continuously, for a minute. Turn off heat until meat is finished. While the meat rests, rewarm the sauce. Stir in the cherries until they’re hot, then the butter until it melts. TO SERVE Transfer meat slices onto serving plates, top with cherry sauce. HAM LOAF ONLY Per slice, assumes 12 slices: 174 Calories; 4g Tot Fat; 2g Sat Fat; 100mg Cholesterol; 701mg Sodium; 5g Carb; .5g Fiber; 1g Sugar; 26g Protein. 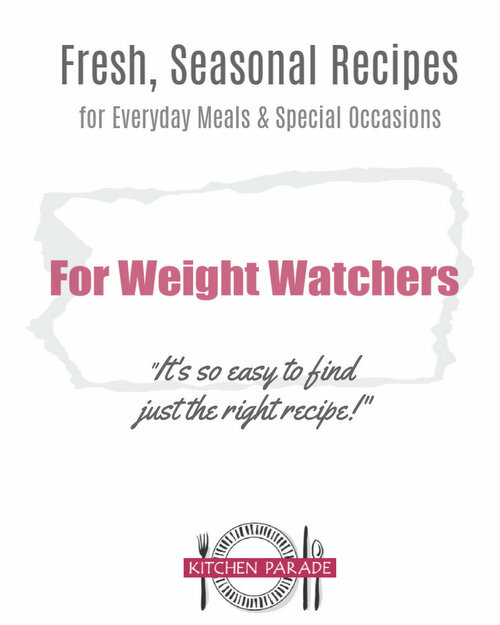 WEIGHT WATCHERS Old Points 4, PointsPlus 4. HAM LOAF & CHERRY SAUCE Per slice with sauce, assumes 12 slices: 219 Calories; 5g Tot Fat; 3g Sat Fat; 103mg Cholesterol; 708mg Sodium; 14g Carb; 1g Fiber; 8g Sugar; 26g Protein. WEIGHT WATCHERS Old Points 4.5, PointsPlus 5. Adapted from my Aunt Myra's recipe, thanks to my cousin LeAnne for sharing it! Great story! I've never heard of this but it sounds awesome, thanks! I love hamloaf, especially with a pineapple glaze. Now I know what to do with leftover Easter ham! Thanks! We're saving some of our left-over double-smoked ham to make one of our very own. We even make an extra ham to be sure we had enough! It really is tasty, isn't it?